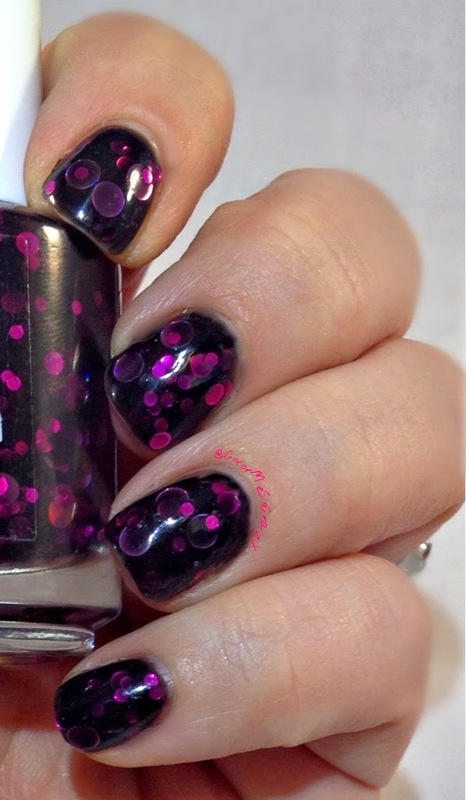 I am part of a very tight group of girls in a Nail Polish Facebook group and there are several polish makers in there. I loooove to support my indie shops especially the ones that are near and dear to me. 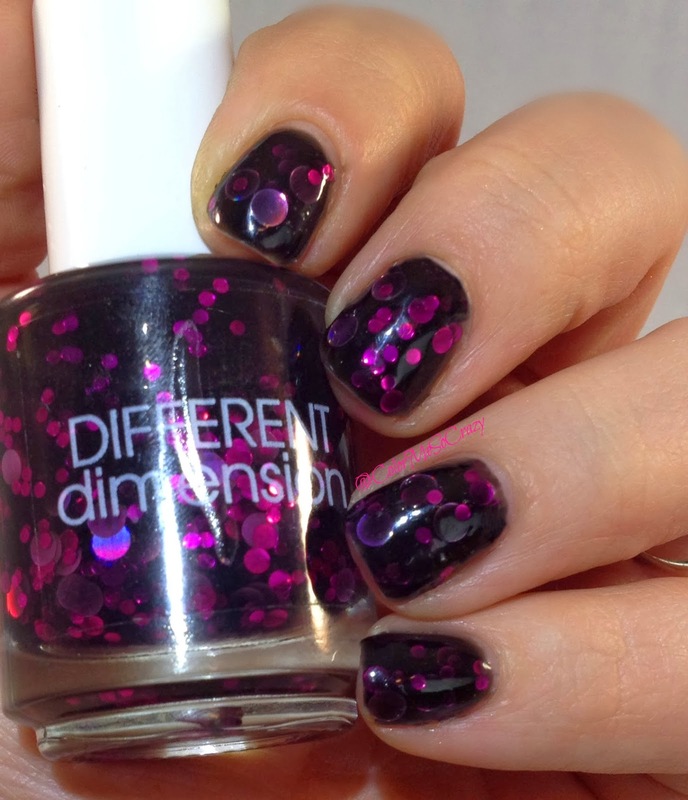 Different Dimension is not a shop that I bought polish from until recently. I bought 2 polishes from her shop and I love them both. When I try new shops, I try not to buy out until I find out that I really like them. Sometimes I only buy once and sometimes I buy many times. This is a shop that I cannot wait to see what else I can get. This bottle literally sat in my untrieds for months and when I pulled it out there were not seperating, no bleeding, none of that other stuff that sometimes happens when a polish sits. This is so good for a polish. This means that you have a good polish and odds are the rest of the polishes from that maker is good, too. 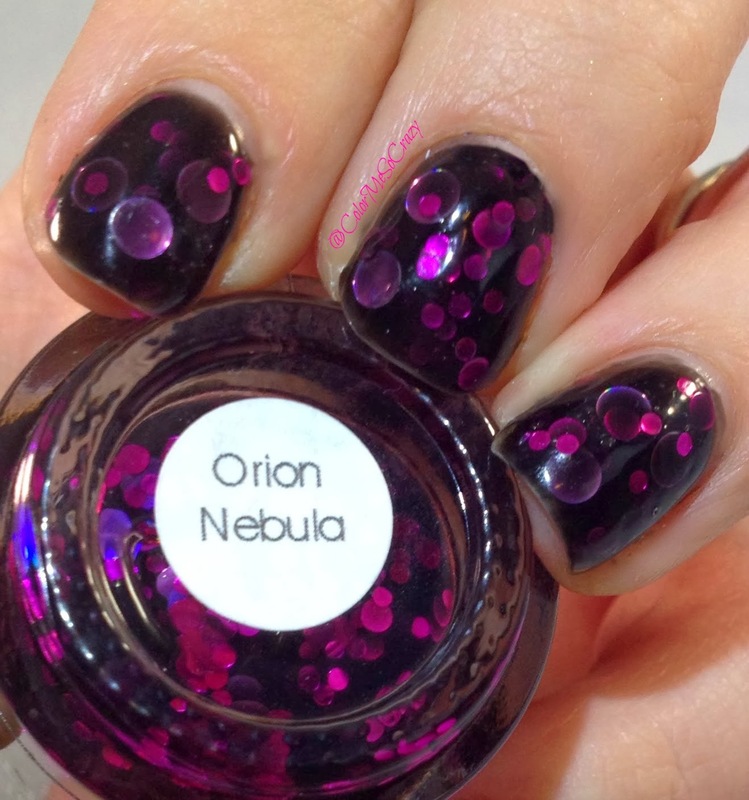 Well this polish is just gorgeous. 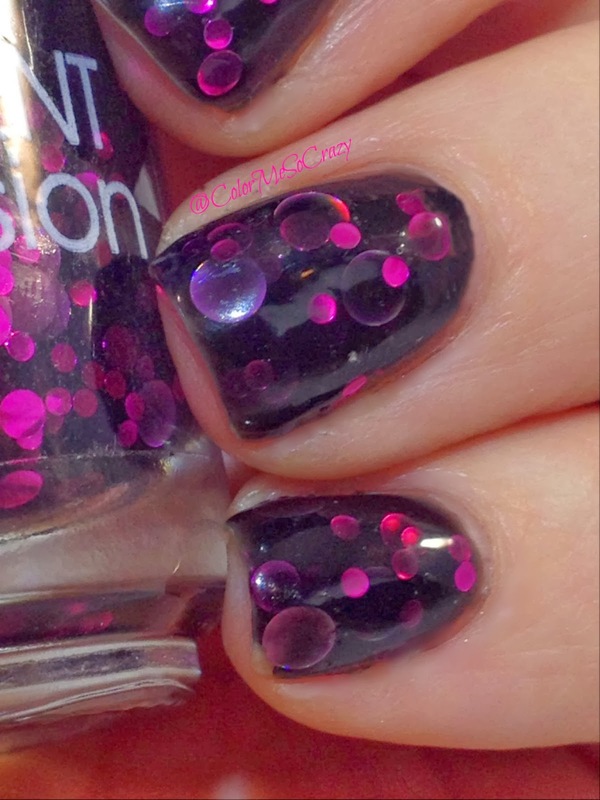 It has everything that I just love in a polish in it. 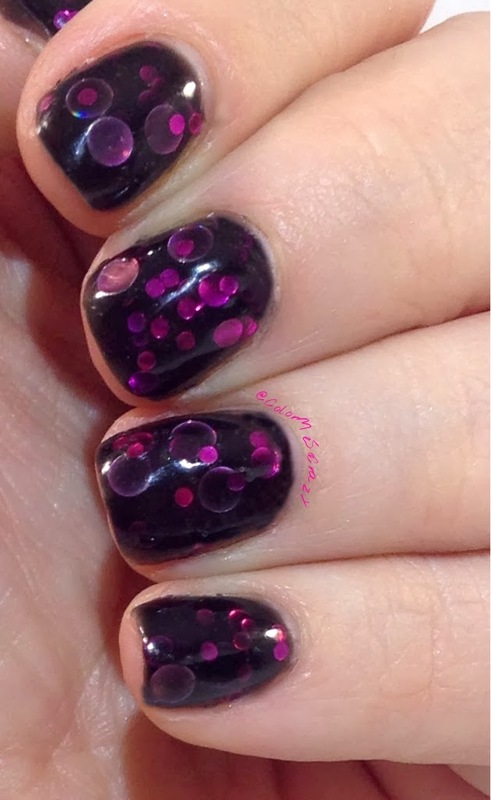 It is a dark black-purple jelly with circle glitters in a couple sizes and purple and pink holo colors!! Like can it get better? Well, it could be matted but this is just hot!! Anyway, it applied pretty well for having giant glitters in it. 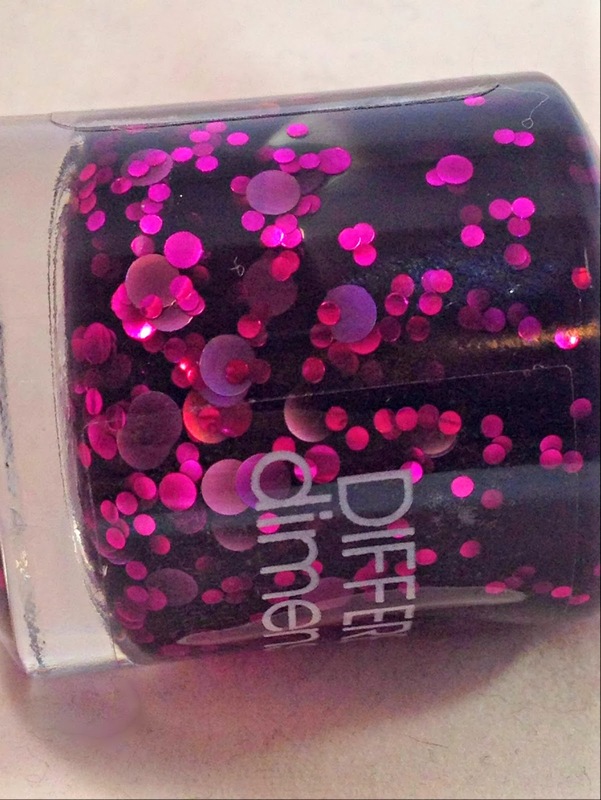 I didn't use and undie and I did 3 coats on each to create a really dimensional look. I love it and I hope you do as well.